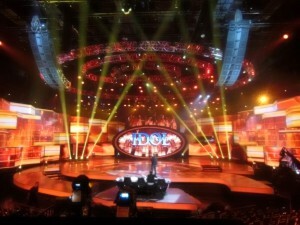 NORTHRIDGE, California – American Idol reigns on as one of the most successful shows in television history. Its mix of stars in the making, spirited interplay between celebrity judges and the show’s wildly enthusiastic live audiences continues to enthrall viewers. 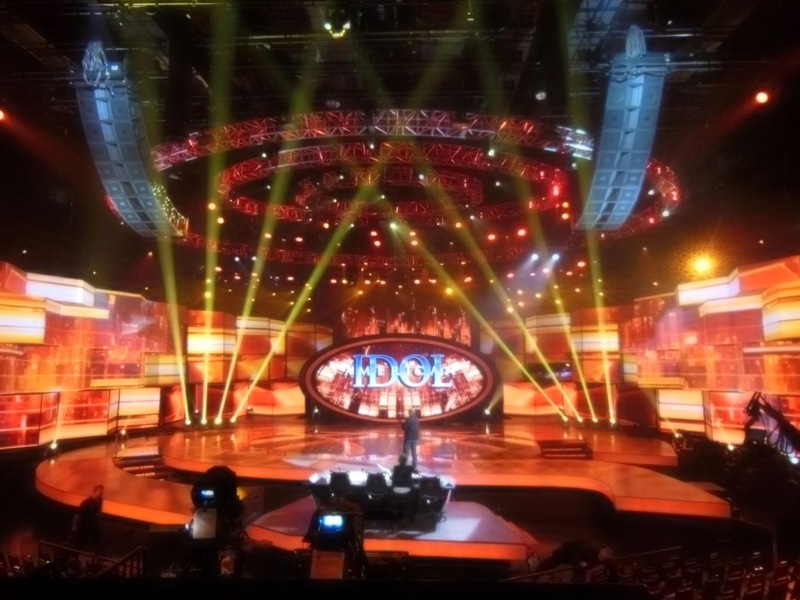 For the show’s upcoming live episodes, Valencia, California-based ATK Audiotek revamped the American Idol set with a variety of HARMAN’s JBL Professional loudspeakers to meet the unique audio demands of the show’s new staging. Left-right arrays of 10 JBL VERTEC® VT4889 fullsize line array elements on each side comprise the main PA system. The main hangs are complemented by a front fill system of six VRX932LAP Constant Curvature loudspeakers installed into the set. Two VRX928LA compact Constant Curvature loudspeakers are also installed into the contestant couch set to provide a mix minus foldback of the judges and Ryan Seacrest. Four JBL Control 8SR speakers are installed in two additional mix minus zones under metal gratings in the stage serving as foldback speakers for Ryan and the contestants during periods of dialogue. To ensure that dialogue will be clearly heard, no less than 280 Control 25 loudspeakers are placed under every other seat in the audience.